TURRET / REVOLVER HEAD OR TOOL CHANGE? The world of flexible machines originated around the 1980s, however it is only in recent years that it is experiencing a real boom, since the crisis has required a dramatic change in order to be able to meet the new requests of the market. BUT…. WHAT EXACTLY IS A FLEXIBLE MACHINE? By flexible machine I mean one single machine, and not a set of machines, flexible enough to be able to deal with any processing job in a single production cycle and with a very fast production change time, along with a good cycle time and a low tool costs, all very simple and easy to operate by the end user. (which today are too rigid and complicated) is the wrong solution, so you are in this phase, keep on reading so that you can better understand which flexible machines are best for your company. WHICH FLEXIBLE MACHINE SUITS YOU BEST? As already mentioned, flexible machines are split into two families: those with turret head technology and those with tool changes. Let’s now focus on understanding the differences between the two technologies: On average, a turret can be fitted from 3 to 6 tools; in some cases, even 8 tools were installed per head, while the tool change is available in the 12, 24 or 40-tool version. More tools available means better “balancing” of the work stations, so that they can all finish at the same time or, alternatively, in case of idle time at a work station, de-burring operations can be added in. In order to physically change the tool, the operator is not required to access the work area, as the tool can be changed comfortably from outside this area. The added rigidity benefits the tool change since, during the processing, the tool is inserted into the main spindle, and not on small spindles with smaller bearings and reduced bearing spacing. The turret is almost always at risk of colliding with the tooling, so the programmer has to be very careful, whereas with the tool change this is not necessary. When using high revs, it is better to have one single balanced spindle instead of small spindles coupled to a main spindle since, it being made up of two shafts, vibrations and resonance are more likely to occur. The joint between the small working spindles and the main spindle for high pressure coolant requires frequent maintenance and it is often the cause of unexpected machine downtimes. In the tool change technology using a single main spindle, there is no such joint, and no such problem. With the tool change technology, thanks to the large number of tools available, there is the huge advantage of leaving tools in the machine which results in a dramatic reduction in product change times, since the change is carried out by changing the part clamp only. With the tool change, it is possible to manage multi-spindle, speeder or angle heads up to 8 kg in weight, thanks to the tool change arm controlled through an axis motor, while it would be unthinkable to tool a turret full of these heads, as they would be at a constant risk of collision, without even the possibility to control the rotation speed. Regarding power, the spindle that uses the tool change offers a huge advantage compared to the revolver technology that carries all tools, putting stress on and penalising the mechanics and the dynamics of the work module. With a single spindle, the work area is more open, less bulky but, most important is that chips are not given the chance to stick to tools. For the record, in the past turret technology did have one advantage: the tool change time. Today, tool changes are faster: for example, with the MULTICENTER the full tool change cycle is completed in 1.4 seconds. 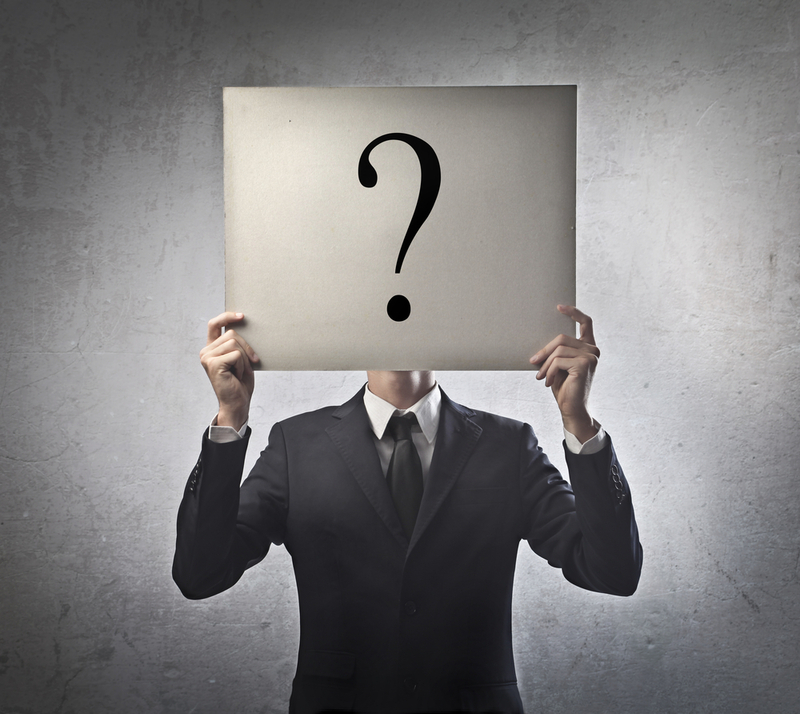 Now that you have understood that the TOOL CHANGE technology is what you should be looking for in the world of flexible machines, you can narrow your search down to select a supplier that has these characteristics. If you want to save time or, better still, if you want information in order to select a manufacturer of flexible machines with tool change technology, I can tell you that PORTA SOLUTIONS is the only company to start, back in 2005, MASS PRODUCTION of the MULTICENTER. WHY DO WE MASS-PRODUCE THE MULTICENTER? First of all, investing capital in the mass-production of machine tools is clear proof of a company that believes in its product. Personally, I had some doubts about the practice of starting to produce flexible tool machines only after having received a down-payment from the customer. Secondly, the mass-production of machine tools requires serious financial stability. Companies with no capital or, worse yet, that owe money to banks do not take this step. In fact, the moment they receive an order they run to the bank to deposit the money. Thirdly, the mass production of machines allows you to achieve economic benefits and to optimise assemblies, thus making you the most competitive company in your sector. It is no coincidence that the MULTICENTER has the lowest price in its category, unbeatable by all other machine tool manufacturers. The fourth point concerns delivery. On average, a MULTICENTER machine is delivered within 2-3 months of the order date, thus allowing our customers to compete quickly and seize the opportunities offered by the market. The fifth point has to do with the fact that mass manufacturing, carried out by means of clear procedures, makes the final product more reliable compared to machines built to order as prototypes. The sixth point is that, by greatly focusing on this type of machines, it is actually easier to conquer the market: every month that goes by, more machines are installed, and efficiency grows at a very fast pace. So that, after years of building this machine, we are decades ahead compared to other manufacturers. The seventh point refers to research and development activities, which are spread over all machines, so that improvements can be implemented at reduced costs, without bearing on the individual machine or on the individual customer. The eighth point is that, since the machines are always available, we can offer you the chance to try and process your component with the MULTICENTER before you buy the machine, in order to reduce all risks or any doubt you may have. The ninth point refers to the fact that, as of today, there are over 100 MULTICENTER machines installed. We can schedule visits at the user’s facilities so that you can directly exchange views with those who actually use the machines. Tenth point.. well, actually there is no tenth point, so I will use this space to say that, thanks to mass-production, we have become LEADERS IN THE SECTOR of flexible machines! SO, WHAT IS KEEPING YOU FROM CONTACTING ME? AFTER 10 YEARS, WE ARE NOW THE LEADER IN THE SECTOR OF FLEXIBLE MACHINES. Going back to the opening topic, flexible machine with TURRET HEAD or TOOL CHANGE, here is another point of view. TURRET / REVOLVER HEAD: This technology originates from the evolution of transfer machines which, in and of themselves, are developed to be fast machines, dedicated but certainly not flexible. Through the years, the market has put this type of machine to the test due to its poor flexibility. The manufacturers of TRANSFER machines reacted by introducing the concept of TURRET HEAD in order to make the work unit flexible, but keeping in any event a TRANSFER machine, so, as already mentioned, the tool change takes place inside the machine, as in other transfer equipment. 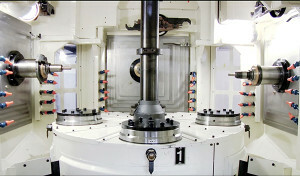 Another disadvantage, considering that having, on average, 4 or 6 tools per turret the number of stations remains large, thus increasing the product change time not only because the tools need to be changed manually inside the machine, but also because there are more toolholders to be manually changed. ON THE CONTRARY, WHERE DOES THE MULTICENTER TECHNOLOGY COME FROM? TOOL CHANGE: the MULTICENTER does not originate from an advanced transfer machine; its roots lie in the world of the machining center, adopting all the flexibility advantages offered by this world. Let’s compare these two worlds. I think you will agree when I say that the machining center is much more common around the world compared to the transfer machine. In fact, a user of a “machining center” is often not familiar with the transfer technology; vice versa, a user of a transfer machine is thoroughly familiar with machining centers. The MULTICENTER is nothing but the evolution of machining centers; it borrowed from the transfer world the concept of running operations in parallel through the rotating pallet change, in order to obtain a high hourly production rate. For the rest, the MULTICENTER retains all the flexibility advantages of the machining centers. Here is the huge difference between TURRET HEAD and TOOL CHANGE! Now you have understood the huge difference between the two technologies. So, you have in front of you the MULTICENTER (a mass-produced flexible and sophisticated machining center) or the TRANSFER with turret head, which retains the same utilisation concept of a transfer and is built upon request. IF YOU HAVE TO MAKE A MOVE TOWARDS REAL FLEXIBILITY, THE MULTICENTER IS THE RIGHT CHOICE. If you are looking for flexibility, it is because you no longer have large lots to produce or, better yet, perhaps the sales volumes are the same at the annual level, but the production lots keep getting smaller and smaller. THE SOLUTION IS: A MACHINE THAT IS AS FLEXIBLE AS A MACHINING CENTER BUT CAPABLE OF PRODUCING AS FAST AS A TRANSFER MACHINE! COMPACT: ONLY 4 STATIONS, 3 FOR THE PROCESSING, 1 FOR LOADING/UNLOADING (WITHIN CYCLE TIME). SUPER FAST TOOLING: ONLY 4 FIXTURES, 5 MINUTES PER FIXTURE FOR A TOTAL OF 20 MINUTES, AND YOU CAN START PRODUCING AGAIN. FAST PRODUCTION. 3 SPINDLES ALWAYS IN OPERATION. REDUCED TOOL COST (4 STATIONS = 4 FIXTURES). LOWEST INVESTMENT COST IN ITS CATEGORY, THANKS TO MASS-PRODUCTION. This machine was designed to specifically meet a market request that entails small-medium lots of complex pieces requiring fast delivery times. In addition to the above, you will also gain a competitive advantage by being able to meet in RECORD time the customer’s requests, the type of requests that manufacturing companies in developing countries are unable to meet. Since 2005, we have gradually been introducing this new product on the market, opening up a new segment in the world of TRANSFER machines, giving this machine the name MULTICENTER. Today, we can boast the largest installed machinery fleet in this category, with over 100 centers sold both in Italy and abroad. Therefore, every month that goes by sees the installation of one or more Multicenter machines. THAT YOU HAVE ALWAYS BOUGHT BEFORE? WHAT HAPPENS IF YOU DON’T TRY TO ANALISE YOUR SITUATION AND GET STUCK WITH YOUR PROBLEMS? IT IS NOT THE STRONGEST OF THE SPECIES THAT SURVIVES BUT THE MOST ADAPTABLE! PRODUCING LOTS FROM 500 TO 5000 PIECES: THE WINNING STRATEGY!